2. Hello from the Magic Tavern (podcast). This is hilarious. It’s a completely fictional tale told by funny dudes who improv this podcast. Yes, improv and they’re good. We listened to and from Chicago on our trip last week. It never got old and was super refreshing to listen to fun fiction! 3. Crossfit: The Fittest on Earth (documentary on Netflix). This summer is all about sports. Crossfit Games (July 19th! ), the Olympics, Donald Trump’s hair fighting to stay on. This documentary is filled with grueling passion and funny heartfelt moments. Even though I’ve already watched it, I will be watching it again this weekend. It’s something to asterisk for marathon training pick me upa. 4. Moving Comfort Rebound Racer (sports bra). I’ve been wearing this for the last few week and I’m freaking happy. Chafing has been happening a lot this summer and i knew it was because of old sports bras & DC humidity, but i needed something different. My old Nike Pros only last about 6 months and begin to stink pretty quickly. I’ve been trying to find something I love and I think the rebound racer is the one! It’s pictured below and Brooks is having a huge sale on them! What are you loving this week? Movies, music, podcasts, food? Categories: 5 Friday Favorites, Uncategorized | Tags: Crossfit documentary, Crossfit Fittest on Earth, hello from the magic tavern, honey stinger, honey stinger gluten free waffle, kiiara, moving comfort rebound racer, moving comfort sports bra, music to run to, running music | Permalink. Okay! Gotta update you peeps on what’s been going on with the running side of She’s Going the Distance. I’m still coming off the high from my 1/2 PR and have not decided on what goals/races/distances I’d like to tackle in 2016. Any advice would be excellent. I’m thinking of a marathon, of course i’ll run a half or two..and possibly a Spartan Race (obstacle course). I will be giving away a free entry to a Spartan 2016 race next MONDAY—so be sure to check back and enter next week. TODAY they have $40 off a race..click the pic below to check out races near you! I have been enjoying running lately: treadmill, outside, and in place. Ok not really in place, but you know what I mean. The weather has been mild and i’m not complaining. I hate/can’t run on snow or ice, so as long as the trails are clear i’m happy. However after sitting in a car for too many hours last weekend, my IT bands and hips are super tight, so i’m not increasing any mileage this week, just focusing on ye ol’ hip exercises to get my glutes fired up and ready for a new season. Speaking of recovery–I won a pair of TIUX Compression socks from Fly High Runner via Instagram. After wearing them for about a month i can say, they’re really comfortable, cozy, super cute and keep me warm in our cold gym. However, i can’t get over the fact that they just don’t have the same squeeze i get from my PRO Compression socks. At the beginning I thought I was being biased with my love for PRO Compression, but there was a big difference. I wore the TIUX socks on my flight back from Indianapolis and my ankles were swollen when I got to DC. I’ve never have that problem with my PRO’s. The socks are smartly labeled L & R. And yes, i’m watching Gossip Girl. 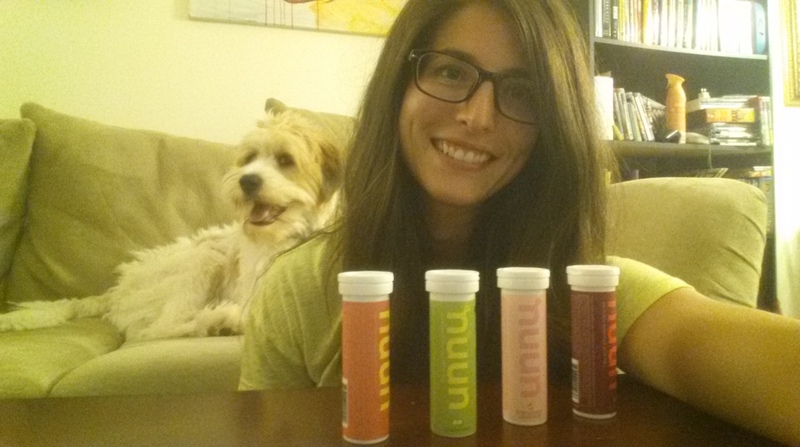 If you follow my Instagram you’ll know I’ve recently become part of Team Nuun! And an athlete for the Honey Stinger Hive with Honey Stinger. 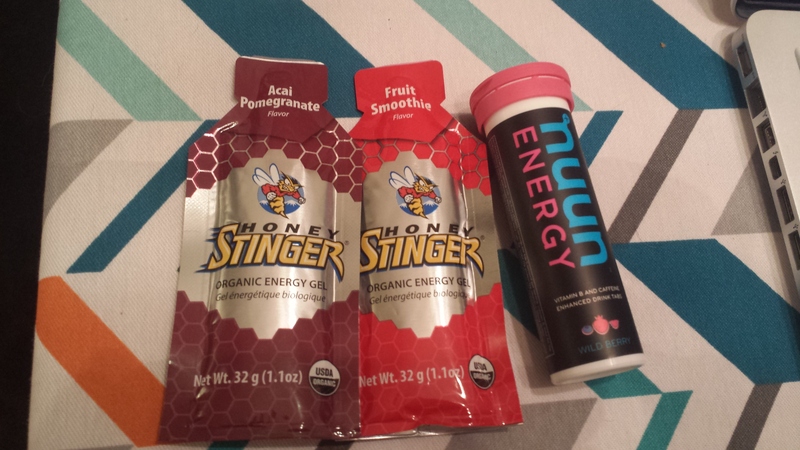 Lauren @ The Foodie Runner introduced me to Honey Stinger Products when I couldn’t handle the thick consistency of GU any longer. I’ve been obsessed ever since because honey is delicious, natural & easy on my stomach. Plus Lauren is freaking fast, so I assume these will make me speedy! Does everyone have a drawer that looks like this? I also was recently sent Vanilla Herbalife24 Formula 1 Protein Powder to try out. I will give a detailed review as I try a few more recipes & see how my stomach handles it after workouts. So far I like it, it tastes great (kinda like birthday cake) & it dissolves easy. No chunks or gritty texture is a huge plus with protein powder. And Sunday we set up our tiny, artificial and profane Christmas tree. We both have the humor of a 15 year old boy. Just go with it. So what’s up with all you guys? 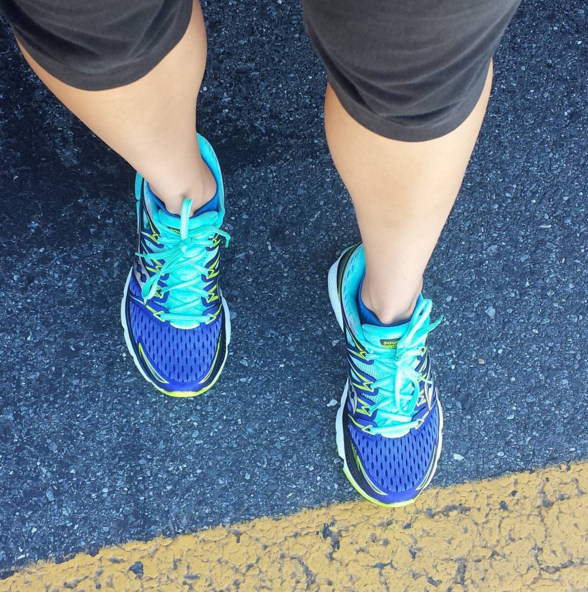 Try any new running products lately? Categories: Uncategorized | Tags: fall running, Herbalife24 Formula 1, honey stinger, Honey Stinger Ambassador, Honey Stinger Hive Athete, natural running nutrition, running, Team Nuun, tiux compression, tiux compression sock review, tiux review | Permalink. 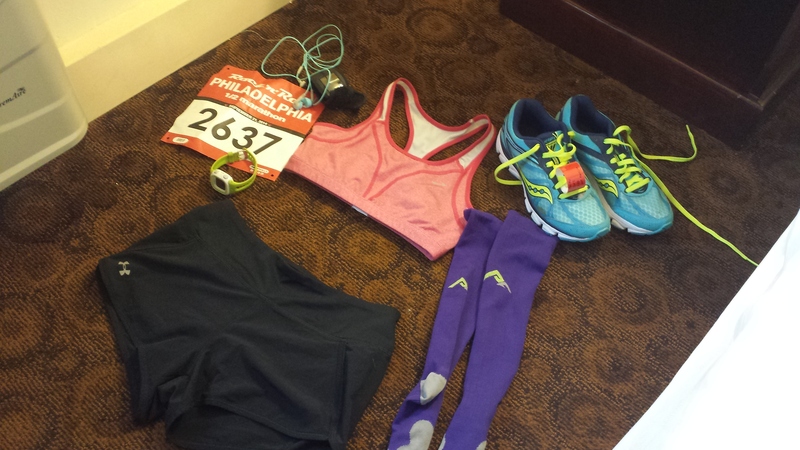 Okay, it’s time to tell you about the running related things I have been using for years now, because i love them and i like talking about the things I love. Shoes. #1 most important thing for a runner. And I love Saucony. They’ve been coming out on top, over and over for me. Especially the Kinvaras. I’ve been racing in the Kinvara’s for a while now and love a light shoe that is still supportive underneath the midfoot. Brooks is a close 2nd. I love the Pure Project line even though I gave Brooks a rest over the last year, I will be wearing them again in the near future. I recently tried the New Balance Zante’s –with only a 128 miles on them, they already felt like they lost their spring & are now just a gym shoe. Definitely disappointing. The other brand I recently tried were Asics. Again, a disappointment. I have 100 miles on them, and the shoe itself is falling apart (several small holes), the insole is bunched up and the shoe feels flat as well. These two shoes will be saved for short, easy running days or walks with the pup. Clothes: Shorts/pants/socks, hands down Under Armour. I wear their shorts during races whenever it’s warm enough. Shirts: this one is tough for me, i don’t have a go-to. I’m thinking I might try Oiselle? Most of my running shirts are off-brand from TJ Maxx & stuff. 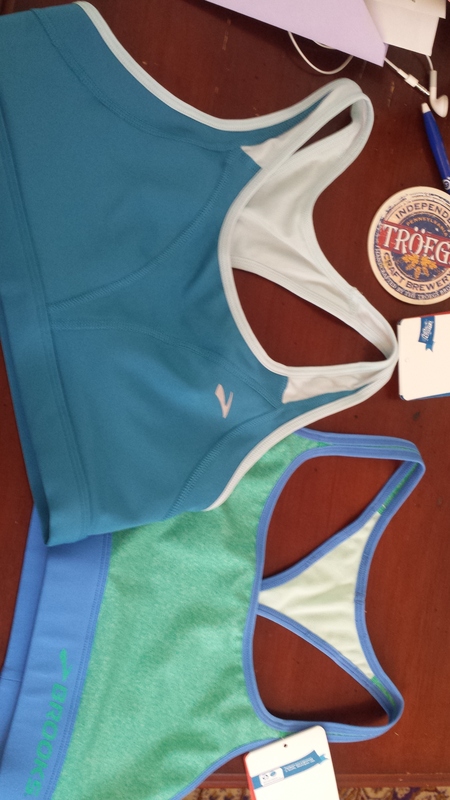 Sports Bras: The Brooks Versatile bra is my favorite, and I only have one left, so I scoured the internet and grabbed a few more, but I’m not sure what I’ll do when I need to find a replacement. Socks- Pro Compression baby. I wear these things all the time. They feel so different from other compression socks. No other way to describe it, they just feel better and help me recover faster. Fuel: I used to be a GU Girl–but it’s too thick to try and get down while i’m racing hard. I found Honey Stingers, Hammer Gels & Powerade Gels work best for me. They taste better and are a thinner gel (does that make sense?). And I think everyone knows by now I have an obsession with Nuun electrolyte tablets. They come in so many different flavors and have a light, crisp flavor without all the added sugars. Although I will drink Powerade or Gatorade the 2 days before a race just to consume extra calories! Nuun shipment day! LE was super happy too. Gadgets/Gear/Extras: I’ve had my Garmin Forerunner 10 for three years now and it’s still kicking and the best Christmas present I’ve gotten in a long time. It’s a cheaper running watch compared to the others in Garmin’s line but it gives you the information you need total time/pace/distance and you can get them on Amazon right now for $80-90. I use an Ipod Nano from several years back and i’ve been tucking it in a Flipbelt! This has been my favorite thing since I picked one up at the Chicago Marathon last year. It does exactly what it says–you can fit a lot in the belt, flip it over and it stays against your body. No bouncing or losing your items. 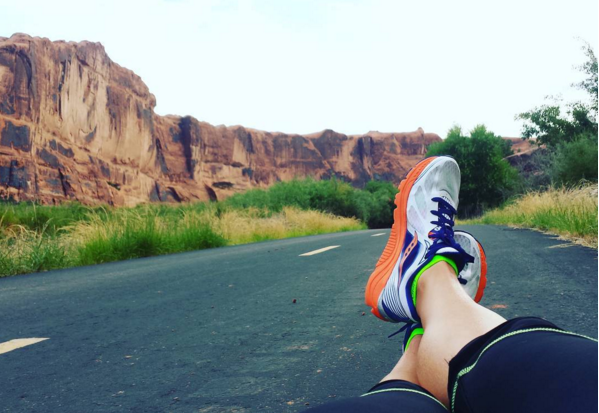 What are some of your running favorites? Categories: Uncategorized | Tags: Brooks, compression socks, flipbelt, honey stinger, Nuun, Nuun electrolytes, Pro Compression, running necessities, running tools, Saucony Kinvara, Saucony Triumph, underarmour | Permalink.